I've only been a mom for five weeks now, but it's a role that I take very seriously. 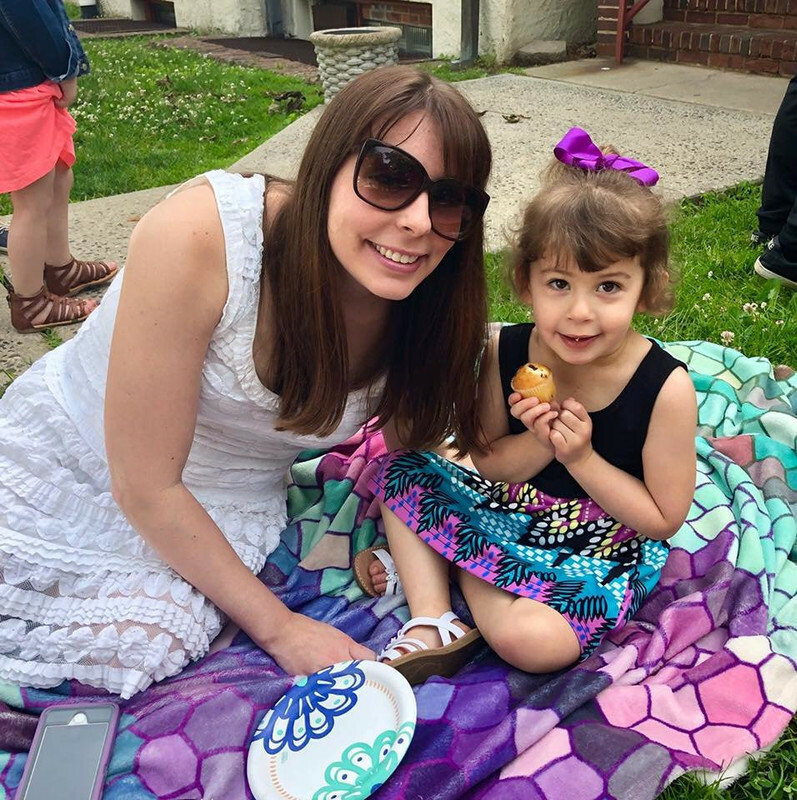 My daughter is very important to me and I want to spend every free second I have with her. 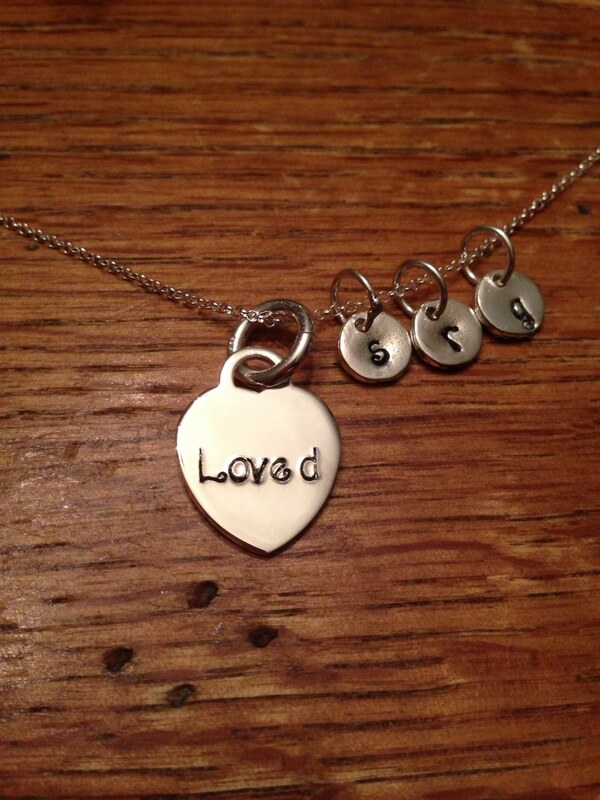 I've always loved the personalized mom jewelry that I've seen moms sporting online. When I had my daughter, I made it a priority to start researching necklaces and bracelets that I could display with her name. I feel that every mom should have jewelry featuring their pride and joy! Simply Loved Shop is an Etsy shop ran by owner Bobby Jen. She creates beautiful, custom hand-stamped jewelry that will make you smile. The hand-stamped style offers such a unique and interesting look. You can either choose to have a certain phrase or name stamped on the discs on the necklace, or have the initials of your children or grandchildren. The necklaces are sterling silver and would make the ideal gift for that special lady in your life for Valentine's Day or Mother's Day. You can specify whether you'd like a 16 or 18 inch chain depending on your style and preference. There's nothing more special then having your beloved children worn close to your heart. I was able to review the sterling silver initial necklace from Bobby Jen's shop. This was very exciting to me because it was the first piece of mom jewelry in my collection. I chose to have Scarlett's initials stamped on the discs. I realized after that people might think I have three children because of the three different letters, but I'll know the truth and will explain if they ask. How pretty is this necklace? It will definitely be a piece I'll wear all the time. I'm very satisfied with how the necklace came out. The chain is extremely sturdy and thick, so I won't have to worry about it opening and falling off. I have no trouble reading the letters as they are clear and easily visible. The hand stamped look is a rustic look that really appeals to me. I wish I had even half the talent to create jewelry like this! The surface area of the discs is actually quite large. I wasn't crazy about the default font that Bobby Jen uses, but I really like how it came out. If I want to take the "loved" tag off, I can in the future so that way you only see Scarlett's initials. This necklace is special to me and I'll feel proud each time I wear it. Right now Scarlett is my only child, but if I were to have more in the future I look forward to combining both children's name on one necklace. If you're looking for a special piece of jewelry that will never go out of style, please order a hand-stamped necklace for yourself from Simply Loved Shop's Etsy Shop. *DISCLOSURE* I received a complimentary necklace in exchange for this review from Simply Loved Shop's Etsy Shop. All thoughts are strictly my own.